Opportunity landed on Mars in January 2004. 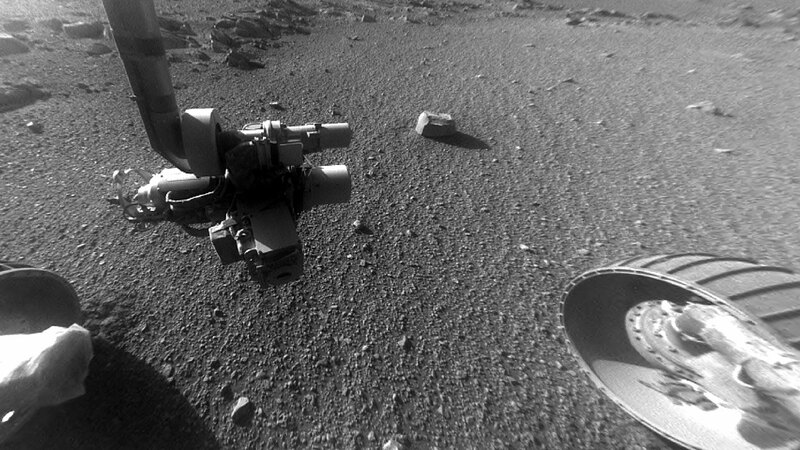 As it reaches the 5,000th Martian day, or sol, of what was planned as a 90-sol mission (see related story), it is investigating a channel called “Perseverance Valley,” which descends the inboard slope of the western rim of Endeavour Crater. 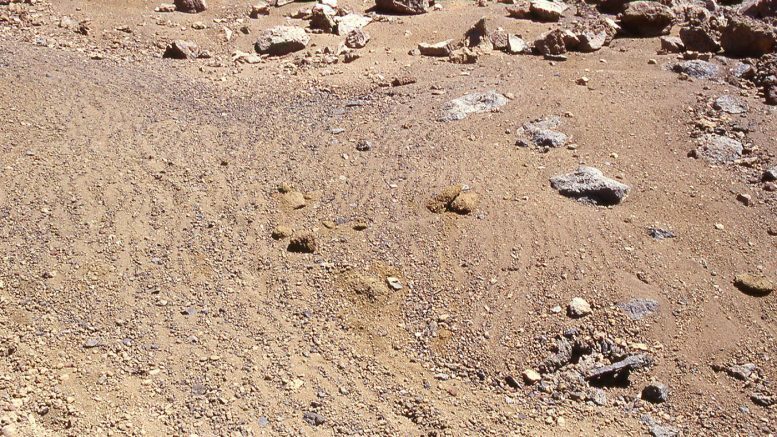 Bernard Hallet of the University of Washington, Seattle, agrees the alignments seen in images of Perseverance Valley are not as distinctive as the stone stripes he has studied on Earth. Field measurements on Earth, near the summit of Hawaii’s Mauna Kea where the soil freezes every night but is often dry, have documented how those form when temperature and ground conditions are right: Soils with a mix of silt, sand and gravel expand more where the finer-grain material is most prevalent and retains more water. 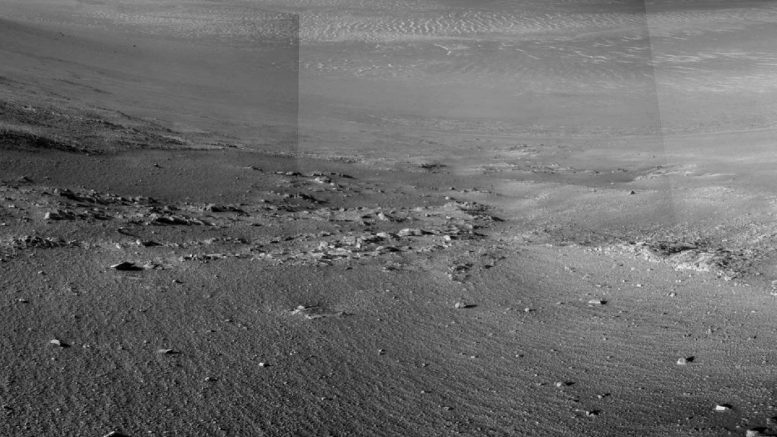 Freezing expands the soil, pushing larger particles up. If they move to the side, as well as down the general slope, due to gravity or wind, they tend to move away from the finer-grain concentrations and stretch out downslope. Where larger particles become more concentrated, the ground expands less. The process repeats hundreds or thousands of times, and the pattern self-organizes into alternating stripes. Be the first to comment on "NASA’s Mars Exploration Rover Opportunity Keeps Finding Surprises"